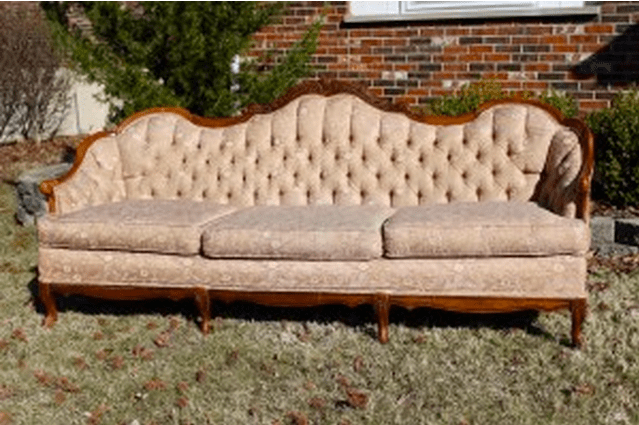 Rachel usually paints furniture for clients, but this time she was planning to keep this antique sofa for herself. 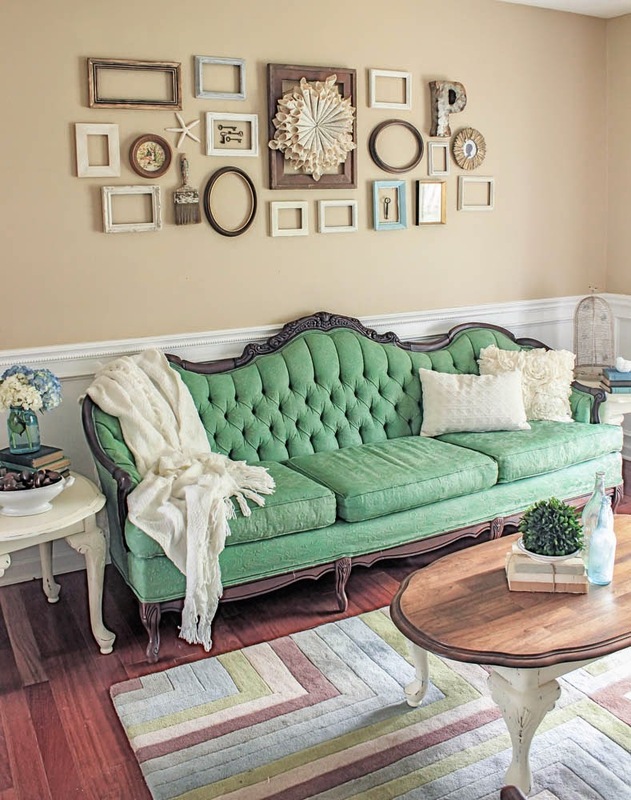 The problem was that the color and style didn’t exactly go with her decor, so she decided to paint it! Read all about this amazing sofa makeover on her blog Shades of Blue Interiors.